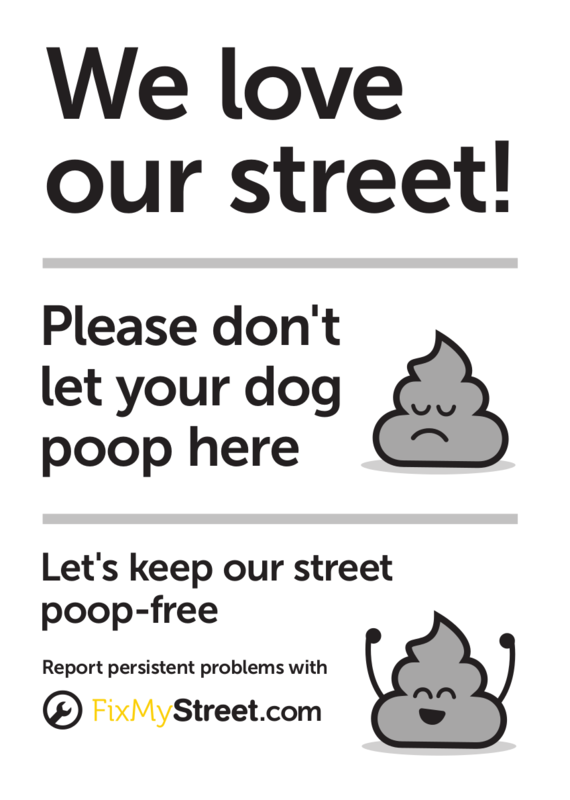 If you have a persistent problem with dog mess on your street, you might like to download this new poster from FixMyStreet and put it in your window—or even print out a few for your neighbours, too. 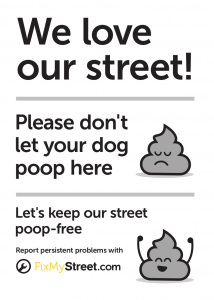 Doggy mess is just one of the common street problems you can report on FixMyStreet, and this encourages residents to do just that. We hope you like this cheeky poop and his impassioned message. It’s the latest in a series of downloadable print-out materials from FixMyStreet: see the rest here.